For a while now, East Brother and I have been talking about getting a car that we could share. One that I could use as a daily driver to work, and that East Brother could use when he needed to go somewhere outside the range of his Focus Electric. Our original plan saw us aiming towards the end of the year to make the purchase, but ongoing back pain from driving my S2000 daily to my new place of employment in West LA pushed our schedule up by a few months. We tossed plenty of ideas around, but our decision came down to two choices: the 2016 Honda Accord Touring, and the 2016 Volvo V60 T5 Platinum. Initially, we were pushing for the Volvo as we are both fans of wagons, but there wasn't a single dealer in the area that had the car equipped the way we wanted it. Realizing that it seemed a little pointless to keep pursuing the Volvo, we started shooting emails to our local Honda dealers to get quotes on the Accord. 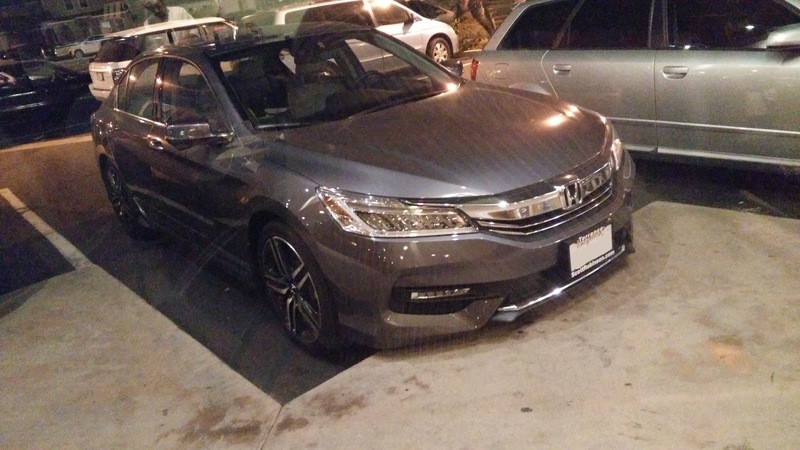 Within a few short days, we took home a Modern Steel Metallic Accord Touring. 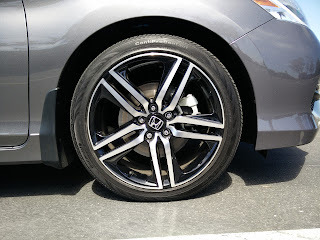 Our Accord comes with all the bells and whistles: the performance upgrades from the Accord Sport (19" wheels and tires, larger front brakes, stiffer dampers), LED lighting (low and high beams, fog, daytime running, brake), Android Auto and Apple Car Play, Honda Sensing (TM), the smooth as butter J35Y1 3.5 liter V-6, and a whole bunch more stuff. 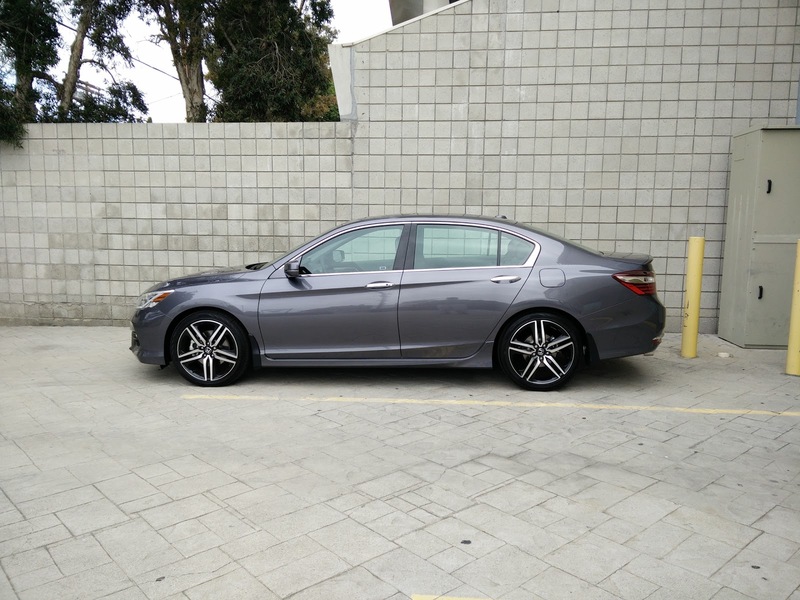 Long story short, this Accord is about just as luxurious as most of Acura's products, but with even more, and better technology. From a content standpoint, this turned out to be the better car of the two we were looking at. Even though driving dynamics are not exactly high on the Accord's list of priorities, it still drives and handles quite well. Braking and handling are improved quite a bit thanks to the upgrades from the Sport trim. Steering is surprisingly not too bad considering most of the vehicles in this segment suffer from dull, light as a feather steering. There definitely is not as much feedback as I would like, but this car's main priority is as a highway cruiser, and not a canyon carver. Speaking of carving canyons, I actually took the Accord up to one of the local twisty roads in the Palos Verdes area not too long after acquiring it just to see how it would cope. Let's just say that I will definitely not be doing that with this car again any time soon. It's not that it was that particularly bad, but because the Accord is extremely front heavy, it plows pretty hard into corners. Even with the handling and braking upgrades, driving this car hard on twisty roads leaves me a bit nervous. I think I will leave the canyon carving to my S2000. Where the Accord definitely excels is as a highway cruiser. Despite the large 19" wheels and the relatively thin tires, the Accord is incredibly comfortable when cruising on the open highway. Honda's 3.5 liter V-6 runs very smoothly at highway speeds, and provides plenty of grunt when passing slower moving traffic. The lack of a way to manually shift gears does make passing on the highway a little less exciting though. 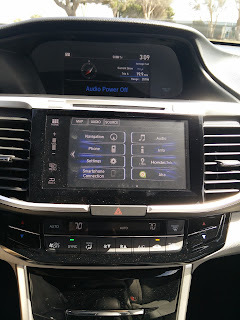 Active cruise control and lane keep assist, both part of the HondaSensing (TM) suite of driver aids, means the driver feels much less fatigue on long road trips as the car will follow traffic and stay in its lane all on its own. The only downside to this suite is the lack of a low speed follow system. Had we gotten a new Civic or the Volvo V60 , this feature would have been available, and would make my daily commute to and from work much easier still. What my daily commute has exposed about the Accord though is that the V6 is still a lot more thirsty than expected. Even though the vehicle has a 21 city / 34 highway MPG rating, I often find myself hovering around the 16 to 17 average MPG range. That's actually worse than what I got when I daily drove my S2000, which only has a 20 city / 28 highway rating. Of course, my poor MPG is not entirely the fault of the car. Los Angeles traffic is primarily to blame for the poor gas mileage I have been getting. Regardless of whether I choose to slough on the 405 all the way to work, or attempt to circumvent the freeway by taking surface streets, it is practically impossible to get anything better than 18 MPG as there is that much traffic on the roads. Oh, and those are the numbers I achieve with the car's Eco Mode (which fights your every throttle input with a great deal of enthusiasm) on. I dare not imagine what those numbers would be with it off. We have now had the Accord for about three and a half months now, and so far, I am enjoying it for its intended purpose. 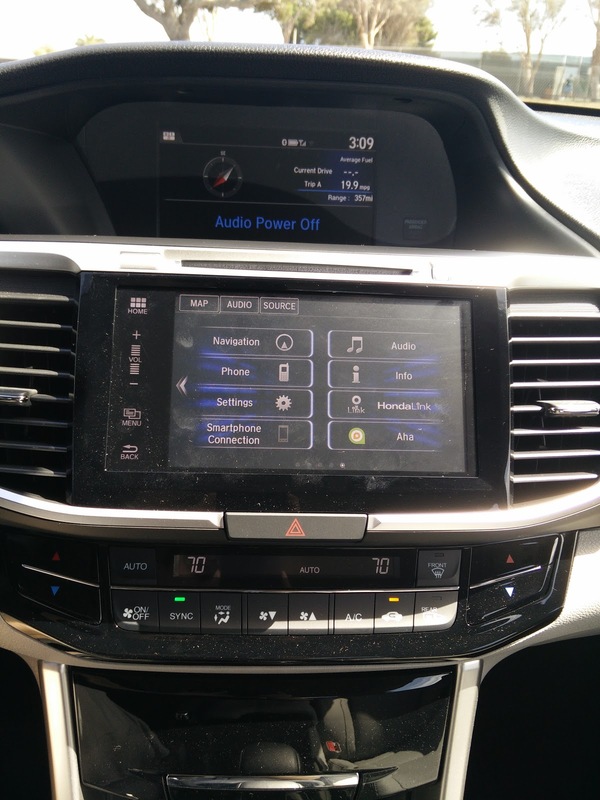 Sure, the gas mileage thing is somewhat disappointing, Android Auto can be finicky at times, and I miss the ability to choose my own gears via paddles, but these are all minor things in what is a really fantastic car. With the performance and appearance upgrades and accents, it looks pretty great too. More updates to come about one of the newest additions to our garage!